Each client you work with as part of senior care services will have his or her own unique needs and requirements. For example, those with limited mobility will need you to help them move around the house or complete tasks like grocery shopping. Additionally, Alzheimer's and dementia clients will need assistance remembering information such as names of family members, significant dates, where the keys are and what day/month/year it is. 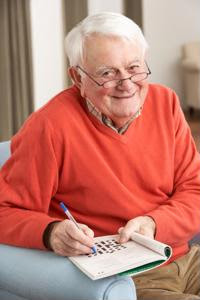 For these older adults, providing them with cognitive activities is important to keep their brain functioning and many also assist with memory. Working on cognitive function through games, puzzles and other fun things to do allows clients to enjoy themselves while also helping their health.